If you never look at your postmaster emails or trash them every morning, chances are you probably missed out on participating in Be Heard: Free Speech and Civil Discourse. 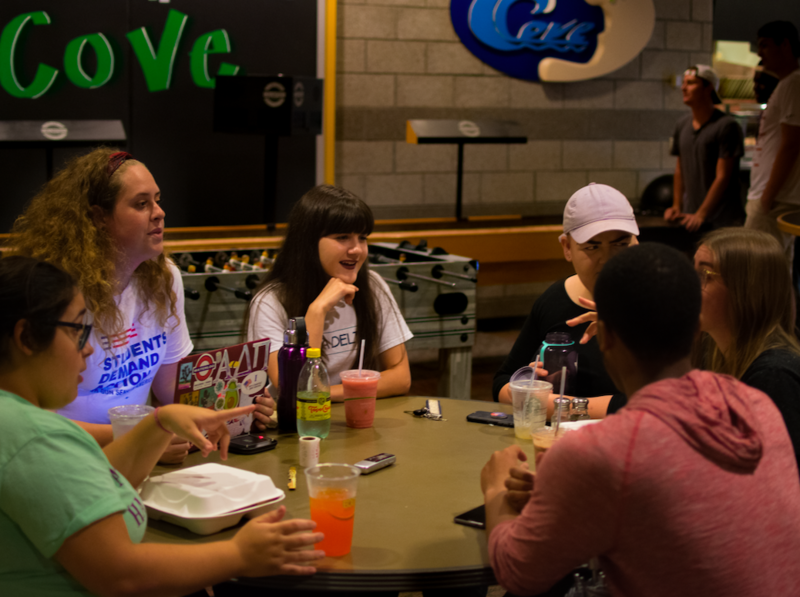 Be Heard was a series of campus focus group sessions for students. The focus group covered, but was not limited to, free speech and civil discourse. Be Heard was a new and interesting event held in The Cove to gather people’s opinions, beliefs, and ideas in regard to issues on campus, with a focus on free speech and civil discourse. Be Heard was planned through the support of the University Relations office, where Camille Martin interns. Martin was in charge of the focus group meetings and facilitated the discussion. When creating “Be Heard,” Martin said that it wasn’t difficult finding students to participate. Trying to reserve a time to attend was evidence to this since three of the five dates were taken a week in advance. Martin said, “students were very eager to sign up to participate and were excited to contribute to the greater conversation.” Not to mention, free food from The Cove was provided with attendance. The focus group consisted of a 30-minute informal conversation with participation not being a requirement. It wasn’t mandatory to be involved in the conversation, you only had to contribute to the discussion what you were comfortable with sharing. The topic of discussion often steered away from free speech and civil discourse, but not in a bad way. This was allowed, as the participants weren’t required to stay on the topic of free speech. By permitting other topics to be discussed, more important issues were brought to the surface and given a platform to be recognized and possibly improved.